A couple of months ago, Beauty and the Beast was on top of my Worst New TV Shows of the season list. I thought the pilot was awful, but against my better judgment I kept watching the show. 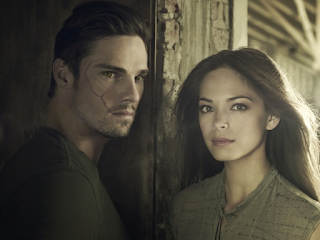 The next couple of episodes weren't any better, and to be honest the only reason I kept watching after episode three or four was that I thought Jay Ryan was smoking hot. But then, around episode five I suddenly became hooked, and it wasn't because of that really great opening sequence… (You know the one). What I thought was a really boring show started to get quite interesting. The story started to move forward quickly and all the characters, even the supporting ones, got interesting arcs. From that point on I looked forward to the next episode, I may even say I am a little addicted; at least I am appropriately embarrassed about it. I rarely change my mind so much about a show. I went from deeming it the worst show to actually recommending it. In my despair, I turned to some of my TV gurus for answers and apparently I am not alone on this one. Zap 2 it had an article titled: ‘Beauty and the Beast’ review: Why you should watch one of the season’s worst new shows and Kristin Dos Santos from Eonline called it “unintentionally hilarious” and claimed it was more fun to watch "than pretty much any other show this fall". 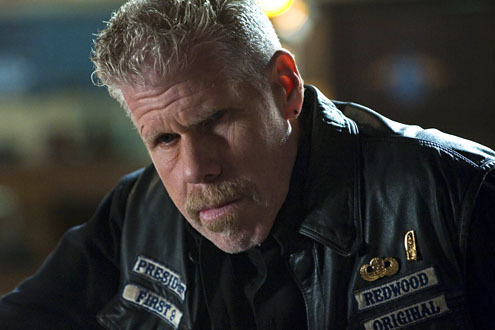 Mr. Samcro Clay Morrow). The original ‘beast’ was so ingrained in my head that my first issue with the CW’s BATB was that they didn’t really have a beast! 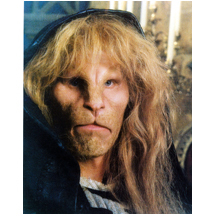 I wasn’t expecting Ron Perlman in lion attire, but I didn’t get why they couldn’t have someone like Kevin Durand playing Joshua on Dark Angel. Jay Ryan looked nothing like a beast, which made me upset. And then it hit me… am I actually complaining about someone being too good-looking? Why should I? This is a CW show… we should just lean back, relax and enjoy the eye candy on the screen! I think that was the first step into accepting the show. So, this isn’t 80s Beauty and the Beast nor Disney’s Beauty and the Beast ,if that is what you want you should watch the re-imagined Beauty and the Beast on Once Upon a Time (which is a great show BTW). Because of Kristin Kreuk’s involvement and the teasers featuring beastly fight scenes, you might be tempted to think of this as a comic-book-like show. And it does have some comic-bookie elements. The idea of a reluctant ‘vigilante’ and the ridiculousness of two super hot girls being NYPD cops, for instance. But that is pretty much it. If you start comparing the show to Smallville or Arrow, it is nothing alike. First of all it is not based on any superhero story and it simply does not have the rich mythology behind it to be considered as such. ‘A failed military experiment that results in a hulk-like beast running around Manhattan’ does sound like the premise for a Sci-Fi show… but don’t be fooled. This is not the next Dark Angel. It is also nothing like The X-Files or Fringe and definitely not Supernatural. So before you put it in the ‘Science fiction’ box, think again and adjust your expectations. There are obviously some elements of science fiction, but they are a back drop for other storylines. They don’t dwell on the ‘fiction’ and don’t deepen too much on the ‘science’ so don’t expect a complex a multiverse-parallel-realities arc any time soon. So what exactly IS this show and why should you watch it? Even when I was hating the show, there was one thing I really liked (and surprisingly I am not going to say Jay Ryan’s abs). I am referring to Austin Basis who plays JT. He was charming and funny since episode one, and I’ve always thought Austin Basis is such an underrated actor. You might remember him from Life Unexpected where he basically played the same character (roommate, teacher, lovable best friend). On top of being a great actor, he seems to be pretty engaged with the online fan community. He did a whole campaign to win the People's Choice Award and overall he is pretty fun to follow on twitter. He may not have the looks to be a leading man, but he sure has more than enough to play the quirky side-kick and hell! 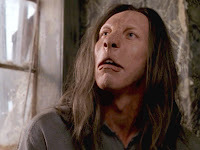 Judy Greer made a career out of it. Besides Austin Basis you may enjoy watching Jay Ryan’s abs, or Kristin Kreuk’s general gorgeousness depending on your preference. I’ve been hard on Kristin in the past but I actually quite like her. I think she is adorable, I just can’t buy her as a cop… but other than that I don’t have anything against her. And according to casting news, some of the cast additions for upcoming episodes are looking great! Guest actors and new cast members include: Sendhil Ramamurthy (Heroes, Covert Affairs), Brendan Hines (Lie to me, Scandal) and Bridget Regan (Legend of the Seeker). This show isn’t technically a ‘procedural’, however there is a ‘case of the week’. The case only amounts to about 20% of the screen time and you can pretty much ignore. However, there are actually worst procedurals out there, believe it or not. Remember The Mob Doctor? Those were horribly boring cases. Now, the cases of BATB are actually kind of interesting and funny in a too-on-the-nose-and-would-never-happen-in-real-life kinda way. In other words they are so ridiculous and implausible, they are actually entertaining. A match maker turned psycho killer? A white teen hip hop artist almost murdered by his manager? At least they are not giving us one more case where the husband killed the wife (cough Elementary cough). Having said all this, the show returns January 24th and it is perfectly understandable if you watched a couple episodes and hated it, but for all these reasons I think it deserves a second chance. The show is in obvious danger of cancellation. They are calling it this year’s Secret Circle. I actually don’t want it to get cancelled anymore and don’t think they should, from a business standpoint (more on that later). I am hoping it can get some sort of buzz going so it can move out of the bubble. So tune in to the newest guilty pleasure this Thursday 24th at 9/8c. 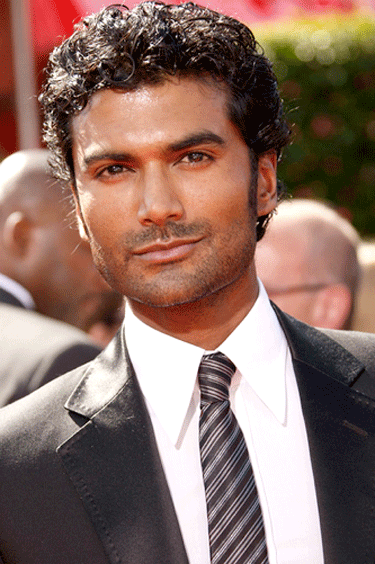 New episodes start on March 14th with the much awaited debut of Sendhil Ramamurthy. I you are still not watching... what are you waiting for? The show has only gotten 10 times better since I wrote this post! Interesting thoughts. The show really is entertaining if you don't take the procedurals seriously. I hope more people give it a chance. Another reason for me to tune in is that the show has become very romantic. I think romance is a big component of the show, which is great but a lot of ppl, me included had a different 'idea' of the show. what about the response of thousands of fans all over the world? Are we all mistaken? #Beasties are present in every languaje & every social media. Don't underestimate the power of "fanforce" and is not just Ryan's abs but the whole lovestory. In any case, Helen Hunt Wrinkle Cream she proceeds to engage in extramarital relations with both Dwight and Andy in the meantime demonstrating to us that she also is human and not above allurement.